1. Never add the stain to boiling water because it will boil over. 2. If the filtrate is slightly pinkish, add again 1 g of activated charcoal, stir, and filter. 3. 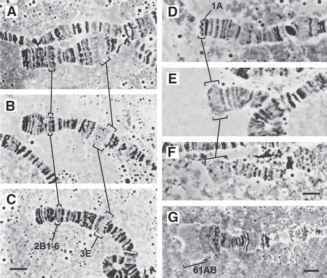 The different larval instars can be indentified externally following Bodenstein's description (6). In the first instar, there are no anterior spiracles, whereas in the second, these appear as closed enlargements at the tip of the lateral tracheal trunks. The anterior spiracles of the third instar have seven to nine fingerlike processes with open ends. To a limited extent, the size of the mouth hooks can also be used to recognize the different larval instars. The mouth hook with 1 tooth of the first instar is the smallest, whereas the largest with 9-12 teeth is seen in third instar. 4. Scoop a sample of food with larvae from the surface of the food and place it in a Petri dish containing distilled water. Swirl the water around to separate the larvae from food particles. Pick up the larvae with forceps and transfer them to a Petri dish with distilled water and scrub them with a paintbrush and wash them again. Transfer the cleaned larvae to a new Petri dish lined with moist filter paper. 5. Add a few drops of 1% fast green solution (in 70% ethanol) to the Kahle's fixative and mix well. The stain in the fixative colors the tissue for its easy recognition during subsequent processing. 6. This two-step (steps 23 and 24) procedure prevents subsequent collection of air bubbles on and around the specimen. 49 h Beginning of pale yellow eye pigmentation of developing adults; 69 h Beginning of pigmentation of bristles (chaetae) in head, thorax, and appendages; 96 h Adult with pigmented bristles in head, thorax, and abdomen and is ready to eclose. All hours are after white puparium formation. If more detailed staging of metamorphosis is necessary, refer to ref. 29. 8. In other hours of metamorphosis, the forming pupal and adult epidermis is fragile and, thus, it is very difficult to keep them as intact sheets during processing.